Should You Hire One or Two Mexico Wedding Photographers? 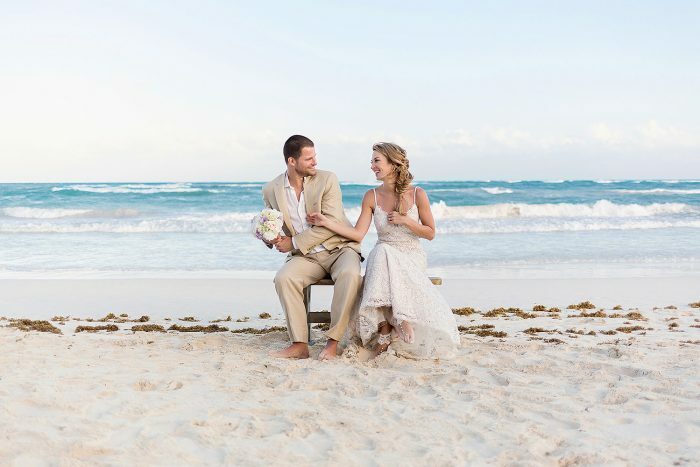 Should You Hire One or Two Photographers for your Cancun Wedding? When speaking to clients about the best way to get amazing photographs at their wedding in Cancun and the Riviera, occasionally, the topic of two photographers comes up and to be honest, there is no correct answer to this question as it depends on a lot of different factors. No matter how experienced and talented your photographer may be, he or she can’t be everywhere at the same time. 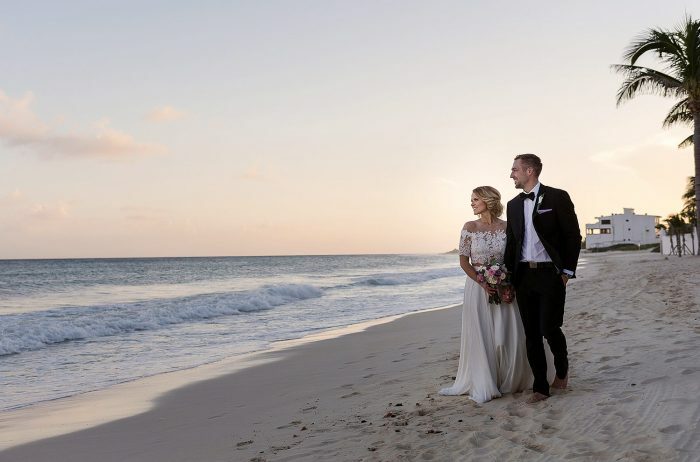 All of the special moments between bride and groom will be captured, as will many more, but with a beach wedding there are so many “behind the scenes” moments that really express the feeling and magic of the day. One photographer with the guys and one with the girls as everyone gets ready. One capturing the expression on parents’ faces while the other one captures the walk down the aisle and ceremony. More guest photos than a regular wedding at the ceremony and the reception. This enables you to have photos of grandparents and other relatives you may not normally get. Photos of the ceremony location before anyone arrives to capture some of the details that would normally be missed. More angles of the first dance, similar to the kiss. Photos that reflect different styles, if the bride and groom can’t quite agree. Basically, two wedding photographers enables greater detail and the potential to get some incredible shots because the traditional angles are already covered. If it is important to have photos of guests having fun and to capture the day from various perspectives, two wedding photographers is the way to go. In a word, no you do not “need” two Mexico wedding photographers. It is possible to have a wonderful beach wedding and capture magical memories with just one photographer. Most of the wedding photos I have displayed on the website are from weddings where I worked alone. It just stands to reason that with two photographers, the depth of photos you get will be greater. It also stands to reason that the expense will be greater because you are hiring two instead of one. If you like the idea of two, but your budget doesn’t agree, consider using two photographers for the getting ready and ceremony, then just one for the formal photo session and beyond. This might ease the overall expense, and you don’t really get a benefit from having two for the photo session anyway. There is always a solution to be found, so if you’re looking for one or two or can’t quite decide, contact me at dean@deansanderson.com and I’ll be happy to help you out! Dean Sanderson | Mexico Wedding Photographer.